On Oct. 30, President Donald Trump created another wave of fear over the shoulders of the immigrant community when he said would sign an executive order to take away the birthright citizenship of people born in the United States who are children of noncitizens and undocumented parents. “How ridiculous. We are the only country in the world that the person comes in, has a baby and the baby is essentially a citizen of the United States for 85 years with all those benefits, it is ridiculous. It is ridiculous and it has to end,” Trump said. I knew that information wasn’t true. I currently hold a dual citizenship: one from the country I was born in, which is Mexico, and another from my parents’ home country’ Costa Rica, where I was raised. 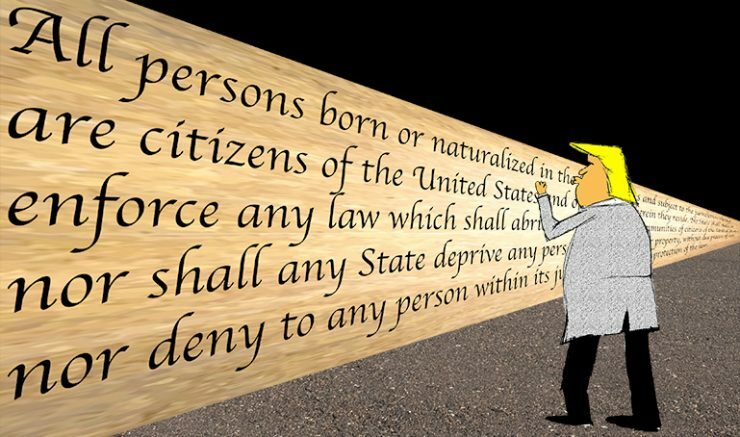 The legal term for birthright citizenship is called “Jus Soli” or “Law of the Soil.” Currently, the United States falls under unrestricted Jus Soli along with 34 other countries in the world, according to Business Insider. So why is the President giving inaccurate information to American citizens? Concerned about my own future as a U.S. permanent resident, I spoke with Manuel Ruedas, and Rick A. Ramirez, counselors and coordinators for the Puente, TRIO Student Support Services for Science, Technology, Engineering and Math (STEM) programs. Ruedas agreed that in case of an executive order, the U.S. Supreme Court would likely block it, but there was still a sour taste of similarities to Trump’s efforts over the last two years. It was the same mix of emotions, shock, disgust, fear and disappointment that I felt when he became president, like a bad tequila hangover. Trump’s administration has not just targeted undocumented immigrants, but he constantly attacks any group or entity or that doesn’t agree with his agenda. The executive order in question would affect refugees, survivors of human trafficking and residents like me who have not become citizens for reasons such as money, language, processing of applications or freedom of choice. Many legal residents are active contributors to the community and create roots here. We may not be legal citizens, but we’re are also not any less of a person or less deserving of protections for our children in the country we now call home. Right now, the country is polarized between two parties and supporting one candidate makes an enemy for the opposing group. Division creates prejudice and increases the likelihood of violent attacks between groups, as we have seen in the events of the past weeks, such as the shooting in a synagogue in Pittsburgh, Pen. on Oct. 27. The President cannot say whatever he wants. He has the power and authority over the population as the leader of one of the most powerful governments in the world. He has a responsibility to the people for his words and actions. He has a spotlight that ensures media coverage that will spread his messages all over the word, that can create peace or fear for those who live here and those living in countries under his radar as well. This is not a surprise since Trump’s behavior at conferences and rallies leaves much to be desired from the leader of a nation. However, it’s important to note that he is not the only one behind these ideas. For example, Ramirez said without the progress of the last 150 years, most of the ARC community wouldn’t be able to study here at all. According to the ARC website, the latest demographics of student enrollment from fall 2017 show the college has 33,057 enrollments. The 59 percent of student who declared a non-white ethnicity, wouldn’t even have been allowed in the same room of white students until after the Civil Rights Act in 1964. Many ARC students also wouldn’t have been able to vote. Since 1870 voting rights have been granted to people of color, Native Americans, women, felons and people ages from 18 to 21 years old. The newly elected Congress is showing some progress as it is the most diverse that’s ever been, with members who now include women, people of color, members of the LGTBQ+ community and from different religions. These are the baby steps that will keep adding one to another for a more inclusive society. 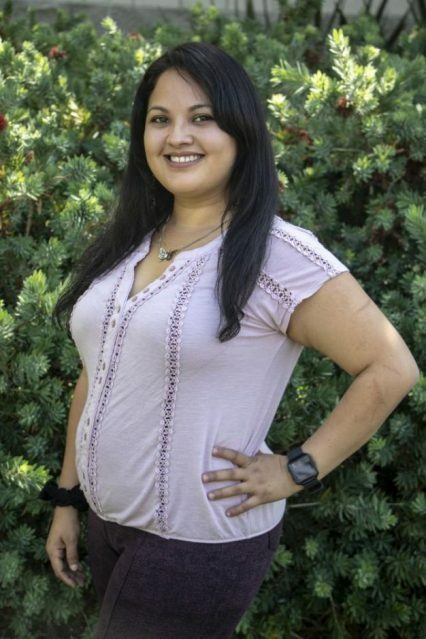 To help students from communities under the radar of the current administration policies, the ARC administration has increased the efforts with resources such as the UndocuScholar Resource Connection which helps students affected by the Deferred Action for Childhood Arrivals (DACA) program cancelation and other immigration circumstances. The program, with the help of a non-profit organization called “Opening Doors,” offers legal help on immigration issues and an adviser comes to campus around ones a month. Qais Ayobzai, legal adviser for Opening Doors, said that for now students should not worry too much about the president’s comments because they are just in the media. He said that there are many questions yet to be answered because there is not even a formal proposal. For now, ARC students can make their voice heard by writing to their representatives, being involved in elections, creating open dialogue settings for these issues and by waiting. After the last elections, with the Democrats taking over the U.S. House of Representatives and Republicans gaining more seats in the U.S. Senate, all that’s left is just wait to see whether the next move is forward or backwards. Be the first to comment on "Trump does not own your citizenship"